Friday, August 4 from 6 to 9 p.m. I Am ARTFUL highlights the talents of the ARTFUL community. ARTFUL is a Cleveland Heights-based organization that provides studio space and education to local artists. Heights Arts is combining efforts with ARTFUL to create awareness and support the work being produced by the artists currently renting studio space at ARTFUL. The impetus of this exhibition is the impending termination of ARTFUL’s lease so the city can sell the Coventry School Site to a developer. It is our intention to inspire and rejuvenate the arts community as we protect the needs of local artists. 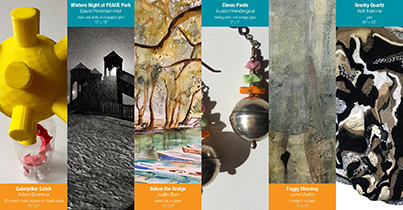 Please join us for an opening reception at Heights Arts on Friday, August 4, 6-9 p.m. This special exhibition will be on view through Sunday, August 20, 2017.